Sweatshirts are part of my winter go to wears. Winter is not really a friendly season because of how cold it can be. I get really cold and wearing the right clothes can be a very helpful way to stay warm and healthy. In as much as, I will always want to look so fashionable, I also have to consider how to stay in style and still be warm and well protected. 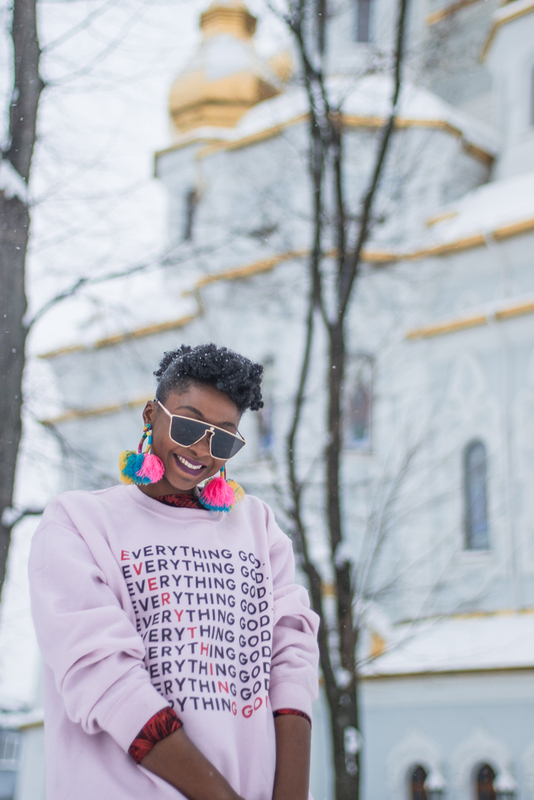 Today, I will be sharing with you some sweatshirt inspiration and how to style them in a way that will help you stay warm and stylish, but before that you can check out Beligion for stylish sweatshirts with inspirational quotes. If you didn't view my previous post wearing a product from Beligion here's a link. During the cold season, I hardly wear dresses so I decided to be more stylish with my short dresses wearing my sweatshirts over them. I wore my red flare 3/4 sleeve A-line mini dress from Metisu and handbag. The earrings can be purchase from Zaful. Khaki leather boots by Solewish. 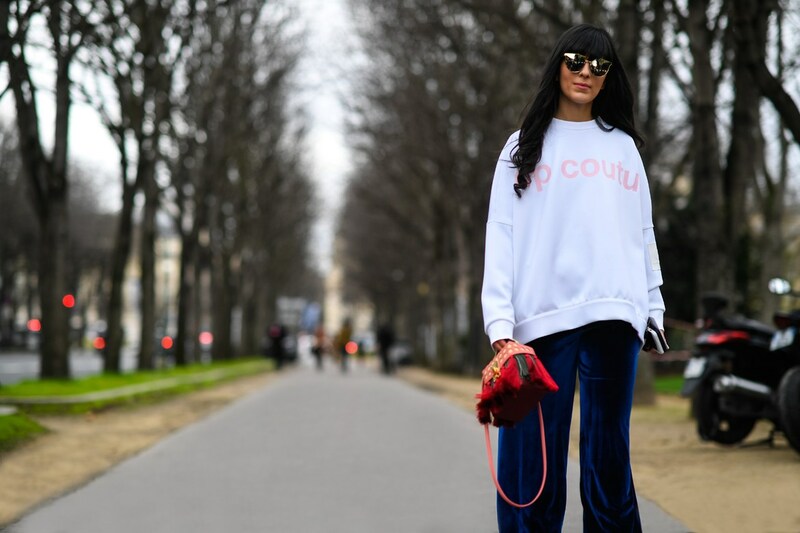 Shop Missguidedoversized sweater with a zip front featuring a red and white color block detail and a slogan print. Photo by Your average guy. 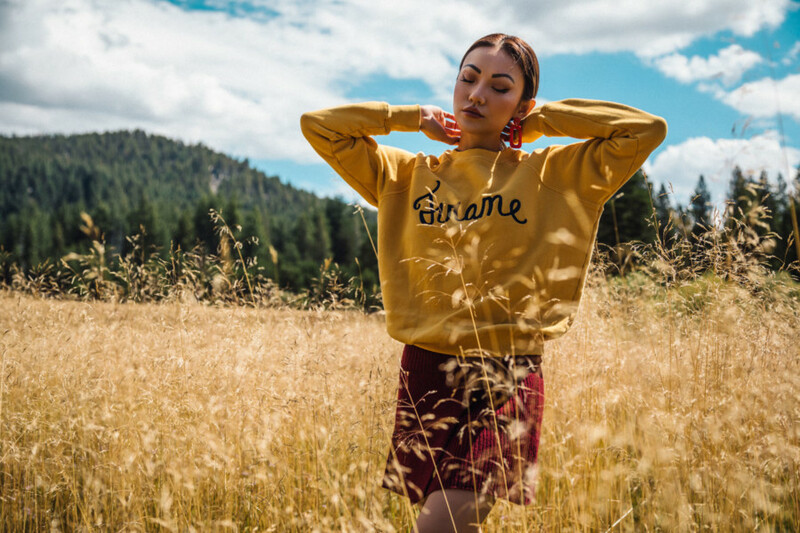 Wear authentic Wrangler style in the Wrangler Men's (Unisex) Crew Neck Sweatshirt. 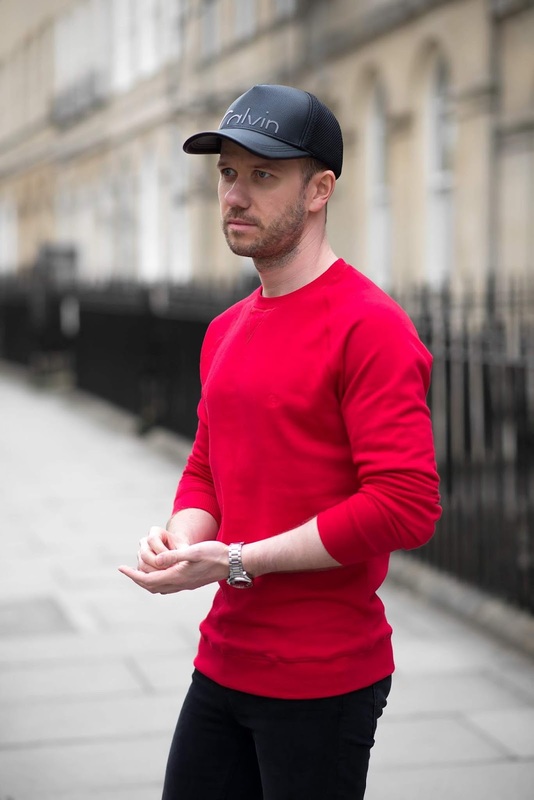 It features a bold, embroidered chest logo, classic styling and ribbing. Made with the quality you've come to expect from Wrangler. Women's Winter Oversize Sweatshirt with Floral Embroidery on The Sleeve. I love a good sweatshirt! They are casual but can still make a statement. The first one is so stunning! Thank you Shannon. You are right. 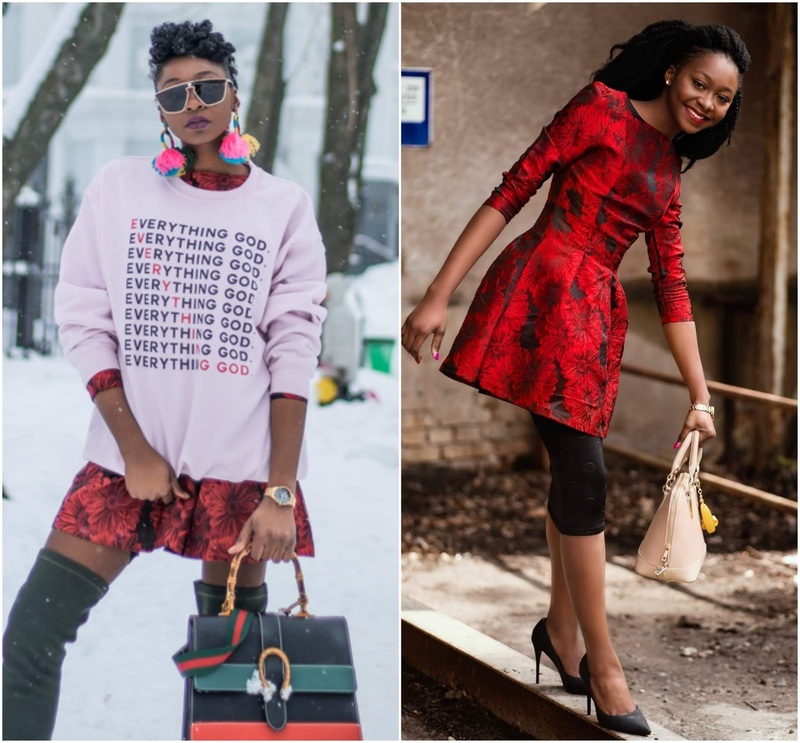 I love the mixing of patterns with the pink sweatshirt and the red printed dress, I think it's really eye-catching. I'm all for mixing prints! yes mixing prints can be lots of fun if done the right way. I love how you mixed the sweatshirt with a more formal dress. Mixes of casual and formal pieces are some of my favorite combinations. Yeah it give s a very nice look. Beautiful. Sweatshirt gives you the utmost comfort and protection. You styled that sweatshirt so well! It looks awesome with the dress! You look so effortlessly chic! I love me a good basic sweater. Yes dear, it will look so good on you. Lindas as peças gostei muito ver bjs. So in love with the super cute sweater! Thank you dear, they are my one fav earrings, they are large and not heavy. This look is EDGY & FIERCE!